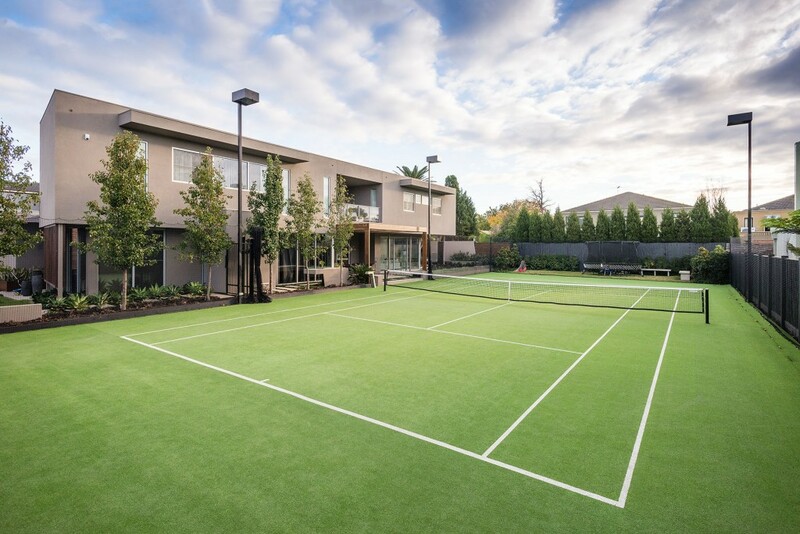 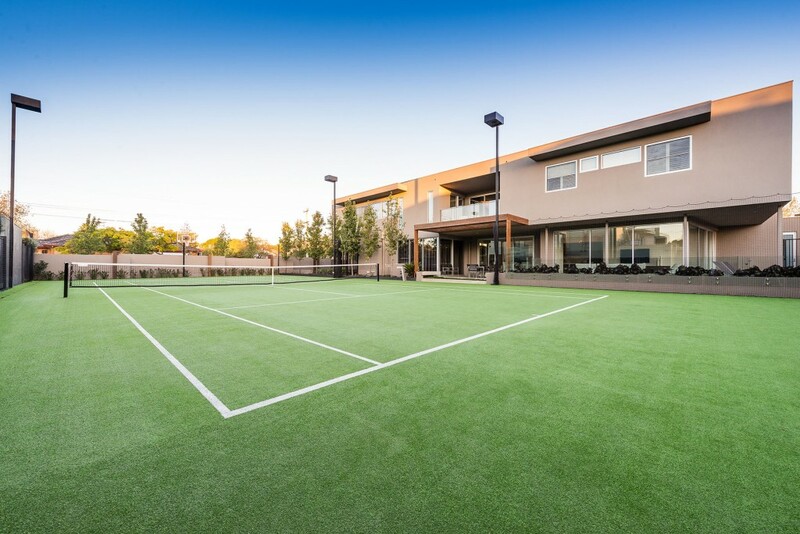 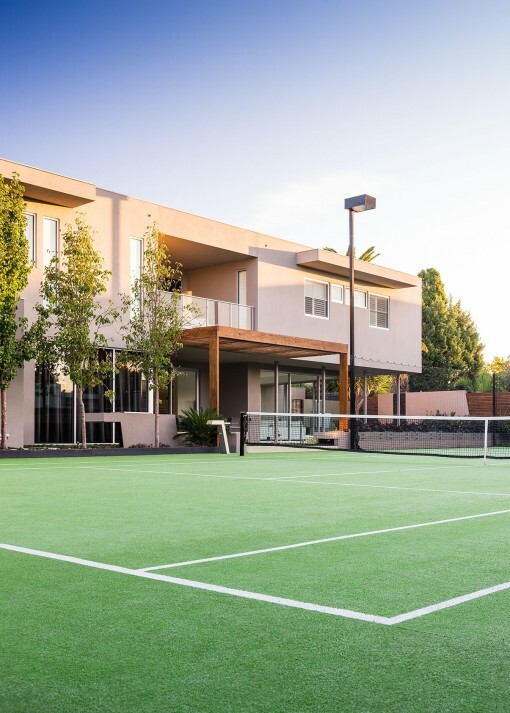 Designed in conjunction with Steve Taylor of Creative Outdoor Solutions this tennis court features an Omnicourt Pro court surface, green sand infill and a Spectra Ace floodlighting system. 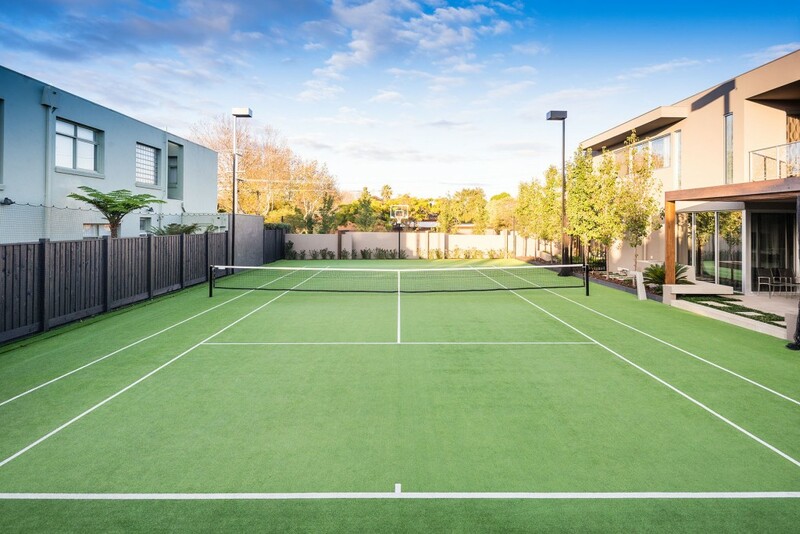 A draw-curtain perimeter allows the court to integrate with the adjacent garden areas whilst a basketball goal allows the court to be used as a versatile sporting area. 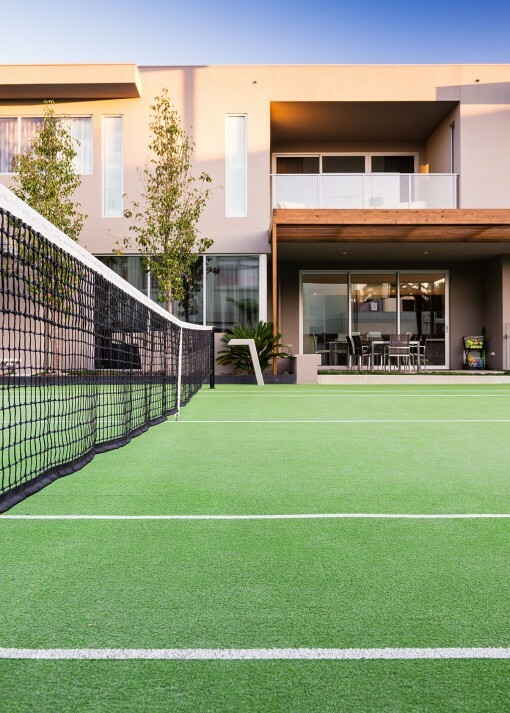 The award winning “Level Court Drainage System” provides a uniform step down along the house side whilst allowing the surface to drain more effectively after rain.